Nilit, a leading manufacturer and marketer of premium Nylon 6.6 apparel fibres, will display fabrics for base layer and athletic apparel applications at the upcoming Performance Days trade show that takes place in Munich, from 18-19 April. Nilit’s Vice President of Global Marketing and R&D Pierluigi Berardi will also present a workshop on 19 April entitled Performance Fabrics for People and Planet. Sensil will display the Performance Days Fabric Forum Selections from premium European fabric producers, Pontetorto, Taiana, and Liebaert. These fabrics are designed with Sensil Breeze, which is designed to provide athletes with a refreshing cooling effect when body heat and temperatures rise. 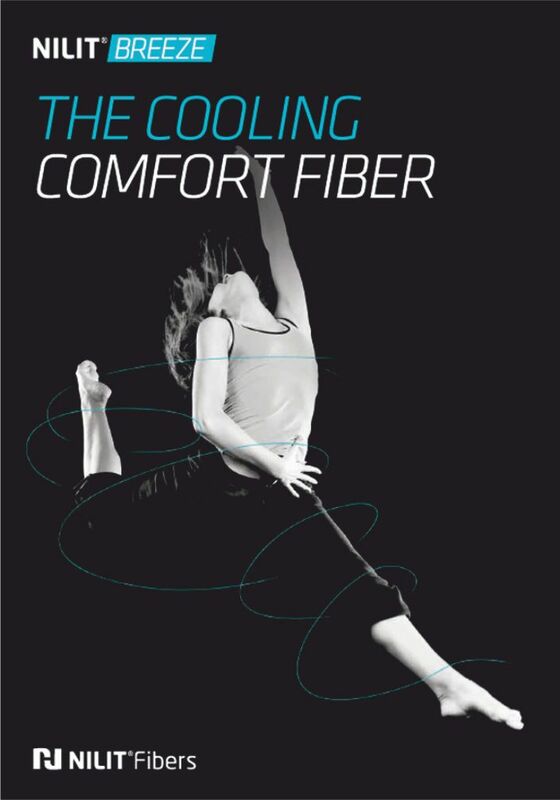 “These beautiful fabrics are perfect examples of the multi-tasking, comfortable, long lasting heat management designs that capture the attention of demanding consumers,” the company comments. Cooling fabric technology is just one topic that Pierluigi Berardi will discuss in the Performance Fabrics for People and Planet workshop on 19 April. Co-presenters are Christiane Rauch, Nilit’s Senior Consultant-Marketing Central and Northern Europe, and Louisa Smith, textile fashion forecaster and journalist. Used in intimate apparel, legwear, activewear, athletic wear, outdoor apparel, denim, and other products, Sensil is the premium Nylon 6.6 from Nilit for apparel.